Age of Warhammer: Fungoid Cave-Shaman Snazzgar Stinkmullett! I have a quick review of the Fungoid Cave-Shaman for you today! Games Workshop were kind enough to send us this model to review along with the Legions of Nagash Battletome which I will put a up a review of later this week. Unfortunately we had an issue with these products being delivered to us so it has delayed our reviews. 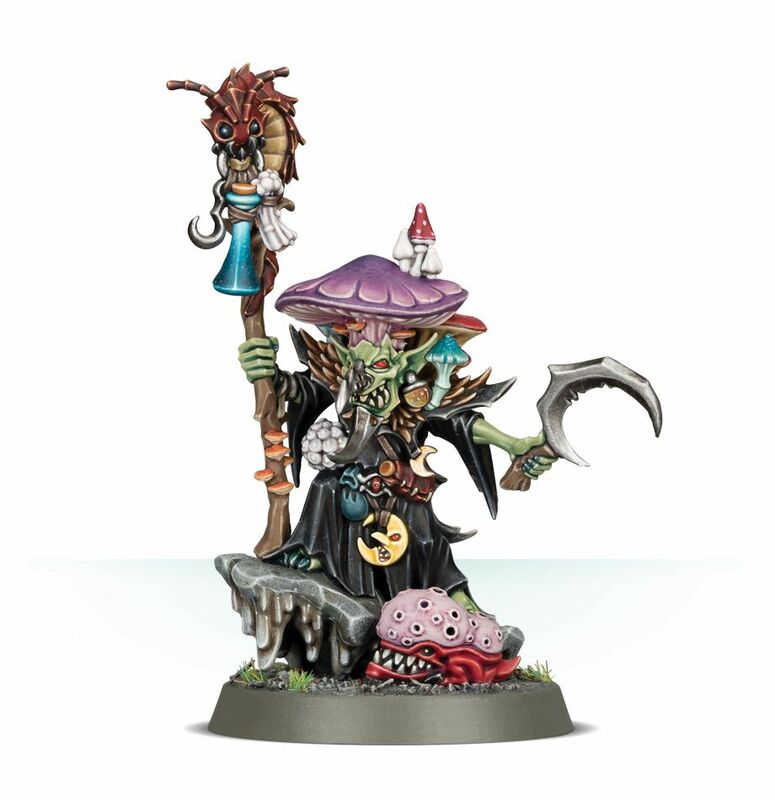 It is a lovely model and a welcome edition to the destruction grand alliance, it also shows that GW will be carrying on the Night Goblin aesthetic into future releases which is great to see. The model is a stunning sculpt with incredible detail. If I was being very picky, I would say it is a bit too busy around the goblins torso, with maybe a few too many pouches and accessories. Even more detail on rear of the model. I do think he will look a little out of place next to the other moon clan models due to the detail of this sculpt, but hopeful this is a sign of new Moonclan models in the future. The Moonclan Grots could definitely do with a model update! I do like the new Malign Portents box art, definitely a more sinister and dark feel to this campaign. A bit of a paint guide on the back of the box but I am sure there will be a Warhammer TV painting guide on youtube. Quite a few stages on the instructions, I do like new the instructions from GW I'm personally not a huge fan of building the models and taking off mould lines. The beautiful sculpt in its unbuilt form for anyone interested in looking for conversion bits! 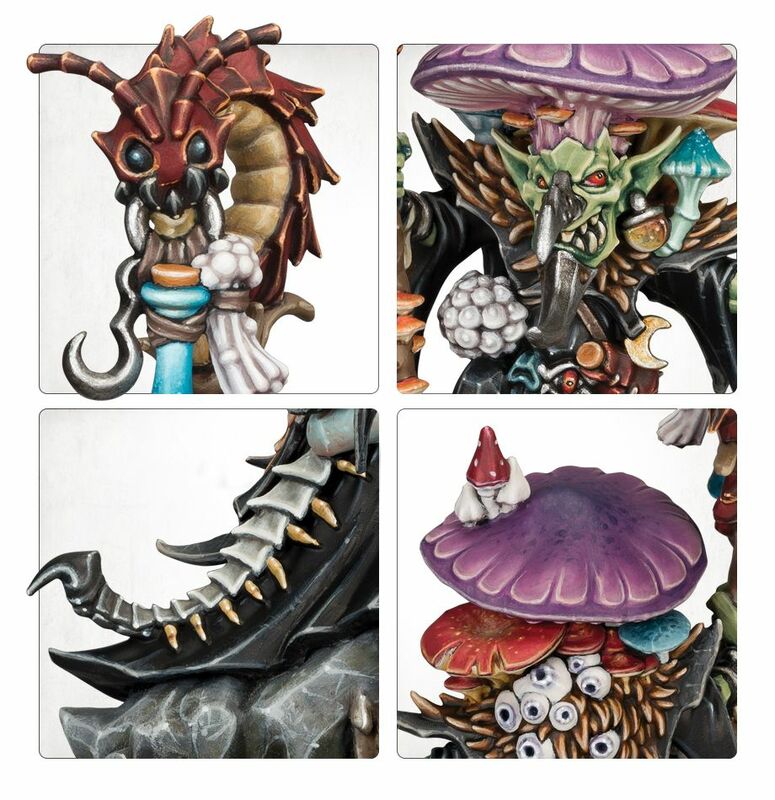 The spore squig is definitely an interesting creature, maybe we'll see a unit of them in a future Moonclan release! This is definitely a model I want to include with my Ironjawz force when I get back around to working on them again. So i'm thinking we'll finish off with a look at his rules. Hopefully you can all read the rules, they are freely available on the GW website or AoS App. I really like the rules for this model, he's first of all a great caster. He can re-roll his casts and cast one additional spell per turn using the Deffcap Mushroom. This means he can cast mystic shield or arcane bolt and still do D3 Mortal wounds to each unit within 6 inches with Spore Maws. Perfect if you're wanting a wizard who will sit behind your front lines as a support piece. He's not tough but he is a grot after all. If you're wanting to protect him, having him in cover and casting mystic shield on himself will give him a 4+ save plus the 5+ ward save from Hallucinogenic Stupor. Not too shabby for a Grot! Finally his command ability is great too, using him to give your Ironjawz brute unit that first turn charge. As with the Ironfist battalion and Rampaging Destroyers that is a possible D6+ D6 + 4 inch move, followed by running in the shooting phase for D6 and then being able to charge through the Mouth piece of Mork command ability! A possible 34 inch move, although unlikely it is definitely a great option for the Ironjawz to get into combat as you would likely need a lot less than that to reach your target. Its just about keeping him within 18 inches. 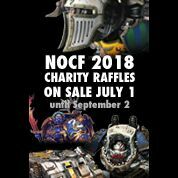 So thanks for reading and keep an eye out for our Legions of Nagash and Daughters of Khaine reviews.